The French and Indian War, which took place between 1754-1763, was a conflict between Great Britain and France over control of the Ohio River Valley. The French and Indian War was actually the fourth of the French and Indian Wars between Great Britain and France, which were a series of conflicts in North America that took place between 1688 and 1763 and were related to European dynastic wars. When Did the French and Indian War Take Place? The French and Indian War took place between 1754-1763. The war officially came to an end with the Treaty of Paris in 1763. Check out this timeline of the French and Indian War for more information. Where Did the French and Indian War Take Place? Why Did the French and Indian War Take Place? The reason why the French and Indian War took place was because both the British and the French claimed the Ohio River Valley as their own territory, which is the present-day location of six states: Ohio, Pennsylvania, West Virginia, Kentucky, Illinois and Indiana. France considering the Ohio River Valley a part of the colony of New France and Great Britain considering it a part of the colony of Virginia. The area had a number of valuable resources such as a vibrant fur-trading industry as well as access to the Ohio River, which was a vital transportation corridor for the region. How Did the French and Indian War Start? 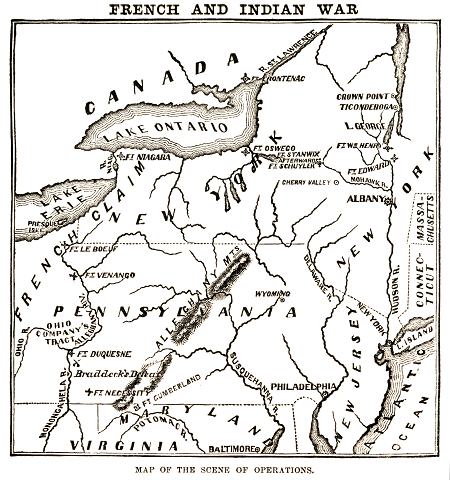 The French and Indian War began after a series of events in 1753 when the British ordered the French to abandon Fort LeBoeuf, which the French had built in the Pennsylvania area, because the British claimed it was located on British land. The French refused to leave the area, claiming it was actually French land, and then also took over a nearby British fort, called Fort Prince George, and renamed it Fort Duquesne. British troops, led by a young George Washington, were sent out to the fort and clashed with a French and Indian scouting party, in what is now known as the Battle of Jumonville Glen, after which a number of surrendering French soldiers were slaughtered. In retaliation, the French attacked the nearby Fort Necessity, which the British troops had built in anticipation of the French attack, which resulted in the first battle of the war, the Battle of Fort Necessity. What Happened in the French and Indian War? After the Battle of Fort Necessity in 1753, the fighting moved to Canada, when the British seized Acadia the following year, before spreading to other areas in North America, such as New York, Virginia and other parts of Canada. The war in North America settled into a stalemate for the next several years but, in 1756, it spread to Europe after British ally, Prussia, invaded French-ally, Saxony. This later prompted various countries across Europe, such as Spain, Sweden, Austria and Russia, to join in on the war effort, which became known as the Seven Years’ War. After 1758, the war began to turn in Britain’s favor as British officials began to spend more money on the conflict and and British forces invaded and conquered Canada, defeated the French in India and celebrated a series of victories in Germany, the Caribbean, West Africa and on the high seas. The French government attempted peace negotiations with the British but these negotiations failed when British officials demanded not only French cession of Canada but also commercial concessions that the French government found unreasonable. After the negotiations failed, the King of Spain, Charles III, offered his assistance to his cousin, the King of France, Louis XV, and on August 15, 1761, they signed an alliance known as the Family Compact. The terms of the alliance stated that Spain would declare war on Great Britain if the war did not end before May 1, 1762, in an attempt to pressure Britain into peace negotiations, and it pledged mutual military assistance and support against Great Britain in the war. The treaty, which was intended to be secret, was leaked to the British and quickly prompted Great Britain to declare war on Spain on January 4, 1762. The British continued to have success in the war and British forces seized the French Caribbean islands, Spanish Cuba, and the Philippines. How Did the French and Indian War End? The capitulation of Montreal to the British on September 8, 1760 ended the French and Indian War in North America, although fighting continued in Europe for a few more years. In 1762, after a failed Spanish invasion of British ally, Portugal, fighting ended in Europe. By 1763, the British, French and Spanish began peace negotiations which resulted in the Treaty of Paris in 1763. Britain was awarded a significant amount of land in North America including all French territory east of the Mississippi River, as well as Spanish Florida, but Britain also had to return Cuba to Spain. Prior to the Seven Years’ War, most European wars ended with an equal distribution of power between the warring nations to prevent resentment and future hostilities, but this was not the case with the Seven Years’ War. The Treaty of Paris primarily benefited Great Britain and resulted in France losing all of its territory east of the Mississippi River and all of Canada to the British, thus bringing the French Empire to an end in North America, and also caused Spain to lose a major piece of its colonial land to the British when it had to give up Spanish Florida. The cost of the war led to a massive war debt for the British that they found themselves unable to pay off and also created a need for additional troops in North America to protect their newly won lands. In order to raise these funds, the British government began enacting a series of new taxes in the colonies to raise revenue. The new taxes were met with resistance from the colonists, which later escalated into a full-blown rebellion, known as the American Revolution, which then led to the Revolutionary War in 1775. Both of the French and Indian War and Revolutionary War greatly affected Massachusetts in the 18th century. Why Is It Called the French and Indian War? Wars in British America were often named after the ruling British monarch at the time, such as King William’s War or Queen Anne’s War. Since there had already been a King George’s War in the 1740s during the reign of King George II, the British colonists named the war after their opponents, the French and the Indians. The title of the French and Indian War is a little confusing though because it makes it sound like it was a war between the French and the Indians. In Canada, the war is known as the Conquest of 1760, or sometimes just as the Conquest, and in Europe it is known as the Seven Years’ War. 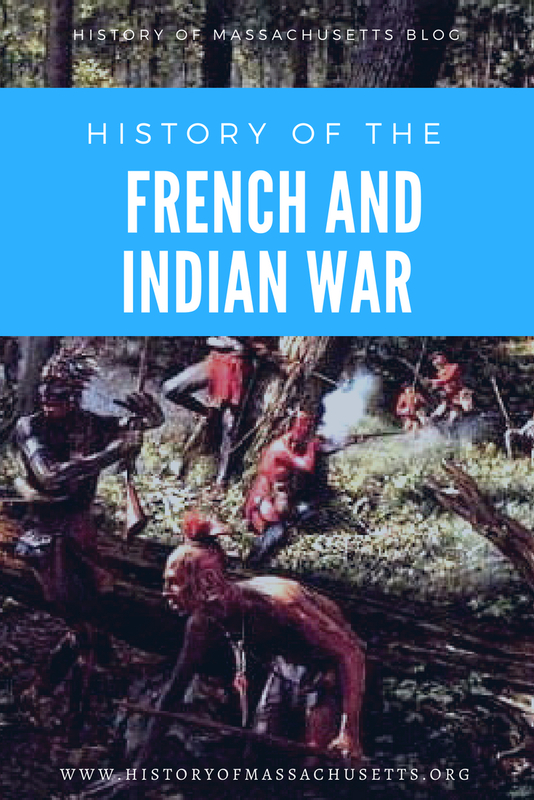 To learn more about the French and Indian War, check out this article on the best books about the French and Indian War. Francis Jennings, Empire of Fortune: Crowns, Colonies, and Tribes in the Seven Years War in America. W. W. Norton, 1988. Anderson, Fred. Crucible of War: The Seven Years’ War and the Fate of Empire in British North America, 1754-1766. Vintage Books, 2000. Fowler, William M. Jr. Empires At War: The French and Indian Struggle for North America. Walker & Company, 2005. Dull, Jonathan R. The French and Navy and the Seven Years’ War. University of Nebraska Press, 2005. Cave, Alfred A. The French and Indian War. Greenwood Press, 2004.